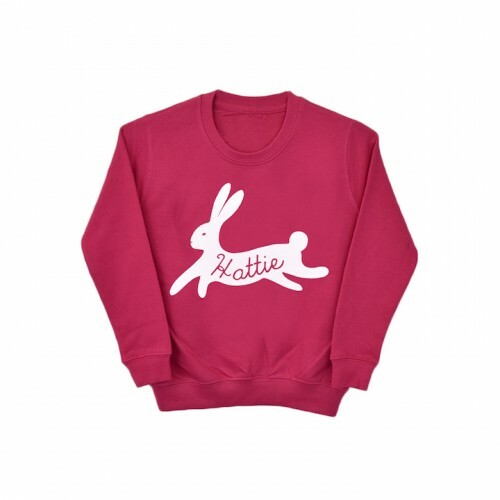 If you’re trying to avoid a sugar overdose when you’re treating kids this Easter how about ringing the changes with one of these cute personalised sweatshirts? 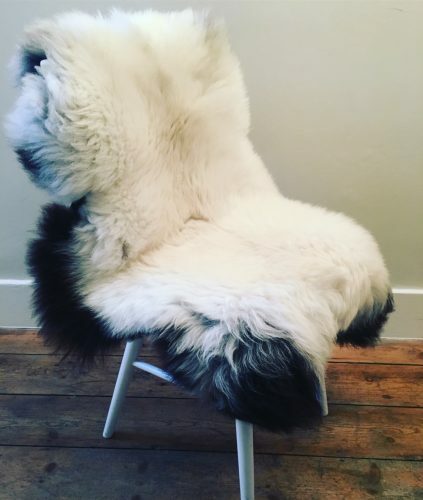 They are from Sussex-based company Ellie Ellie though were actually spotted by eagle-eyed Sarah up at Muddy Stilettos Berkshire. 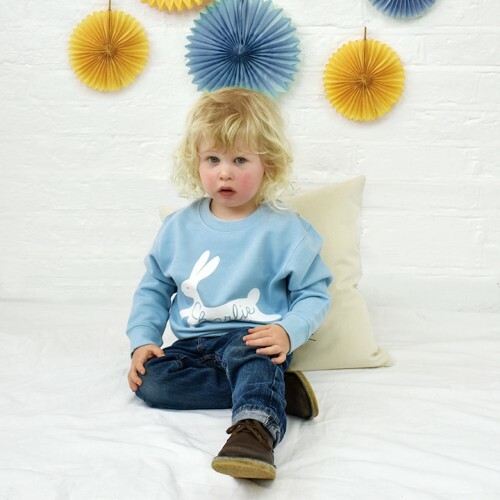 Featuring a fun bunny silhouette and your chosen name, they have plenty of character, but aren’t too cutesy nor too ‘Eastery’ so they can be worn all year round. They’re available in fuchsia pink, apple green and pastel blue and when they’re smeared with chocolate they can be chucked in the wash at 40 degrees and tumble dried. 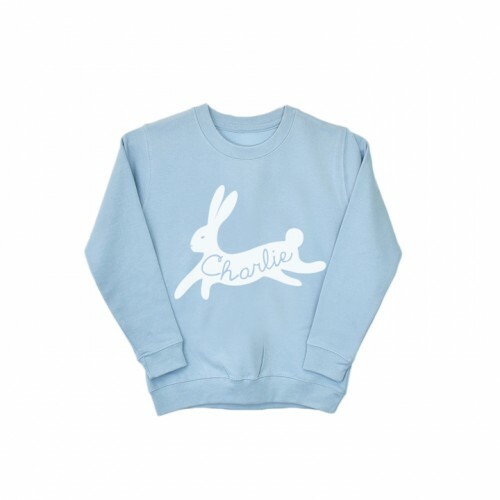 They’re available in kids’ sizes XS (3-4), S (5-6), M (7-8) and L (9-11). 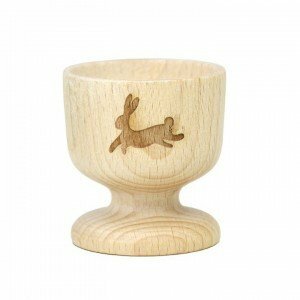 Ellie Ellie have plenty more original Easter stuff including this egg cup (£7) which can be personalised with a name on the other side. 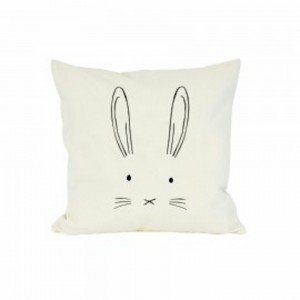 And these stylised bunny cushion covers – yep, there’s a tail on the other side – for £15.